If I’m being really honest, some of my creative ideas are the result of sheer panic or parental guilt. Case in point. My kids have been asking since Halloween if I had purchased chocolate advent calendars. It’s one of their favorite holiday traditions. “There’s plenty of time,” I said. No, there’s not plenty of time. In my defense, my grocery store does not sell advent calendars, so I haven’t been able to make an impulse buy that would avoid all this parental guilt regarding the holiday tradition I started. Last week I decided I needed to get serious about finding chocolate advent calendars because tick-tock goes the clock entire year. I visited Target, Michael’s, The Christmas Tree Shops and Trader Joe’s. I struck out at all of those places. The Christmas Tree Shops might have had them, but the place was being swarmed by the Tuesday morning deal seekers. I wasn’t mentally or physically prepared to get close enough to the end caps by the cash registers to see if they still had advent calendars. I purposefully drove 20 minutes out of my way to go to Trader Joe’s only to discover they had sold out of advent calendars the night before. Sold out! I was so mad I gave them $70 for things I didn’t need like organic, snowflake-shaped pasta. That’ll teach them a lesson. I sat in my car in the Trader Joe’s parking lot munching on my feelings newly purchased dark chocolate star-shaped mint shortbread cookies and contemplating why I started this advent calendar tradition in the first place my Plan B.
That’s when I decided we could start a new tradition. A better tradition. 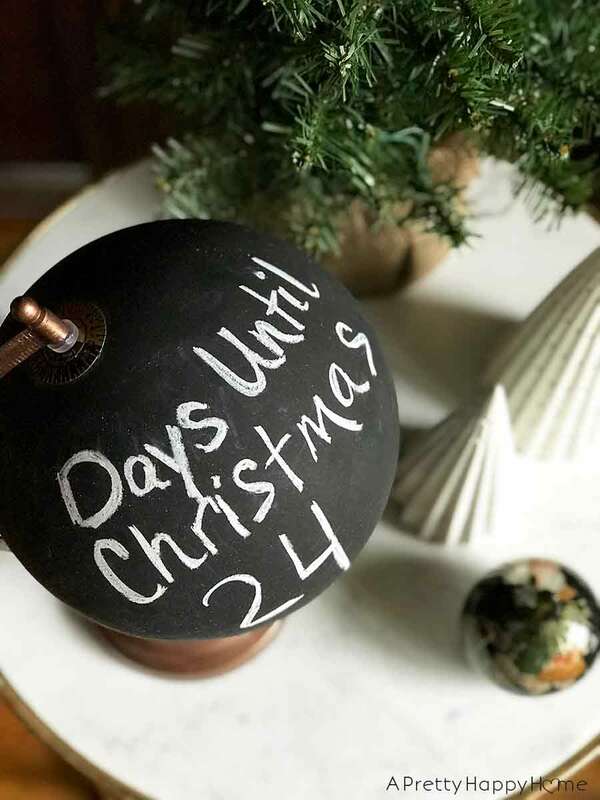 We could countdown the days until Christmas on our chalkboard globe. Since Santa has to travel around the entire world, there’s some nice symbolism there. I could just give whichever kid remembers to change the chalkboard sign a piece of chocolate. Then I could give the other kid who whined about their sibling getting to the calendar first a piece of chocolate too. It would be great. Then I glanced around and saw that the heavens had opened up and a beautiful beacon of light was shining down on the Walgreen’s next door to the Trader Joe’s. It was a sign. I never go into Walgreen’s, but I know they have all sorts of random merchandise to up-sell you on while you’re waiting a suspiciously long time for a prescription. Sure enough, tucked in the back corner by the batteries was a section of chocolate advent calendars. HALLELUJAH! I’ve never been so happy to spend $3.84 to “save” a Christmas tradition. Let’s just not mention all the time I wasted to spend that $3.84, okay? 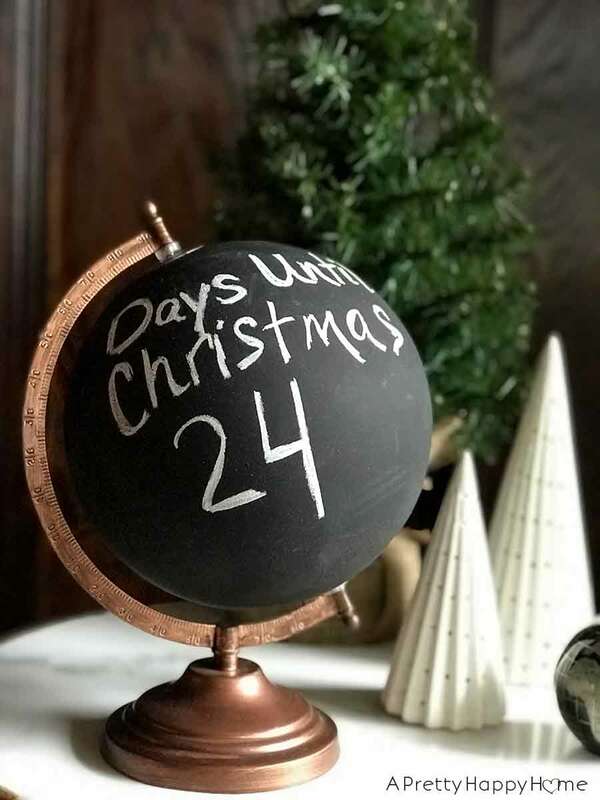 The funny part about how my brain works is that despite the nonsense that got me to this place, I am SMITTEN with my chalkboard globe advent calendar. I love it so much! It’s a great way to use what I already have to make my home festive for the holidays. P.S. 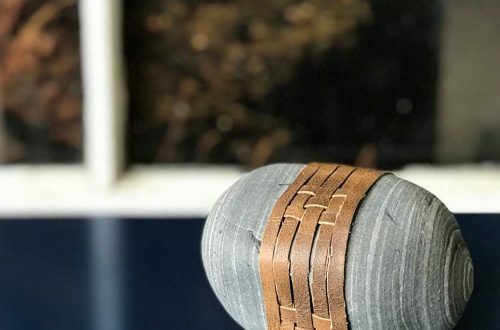 Painting a thrifted globe with chalkboard paint would be an easy DIY. However, I purchased my chalkboard globe from Michael’s when they had their 80% off fall decor sale. 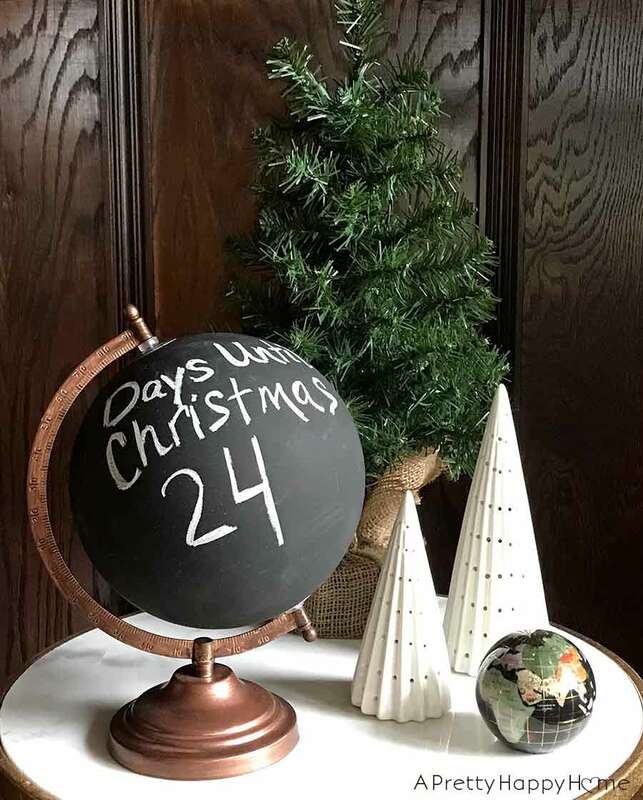 Target currently sells this chalkboard globe, which is very similar. Want some other Christmas ideas? Okay…you twisted my arm! Candy Cane Advent Calendar – Because it is EASY to find candy canes!